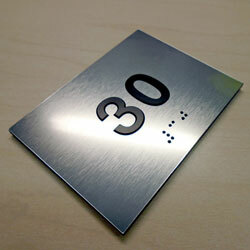 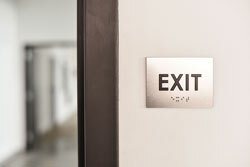 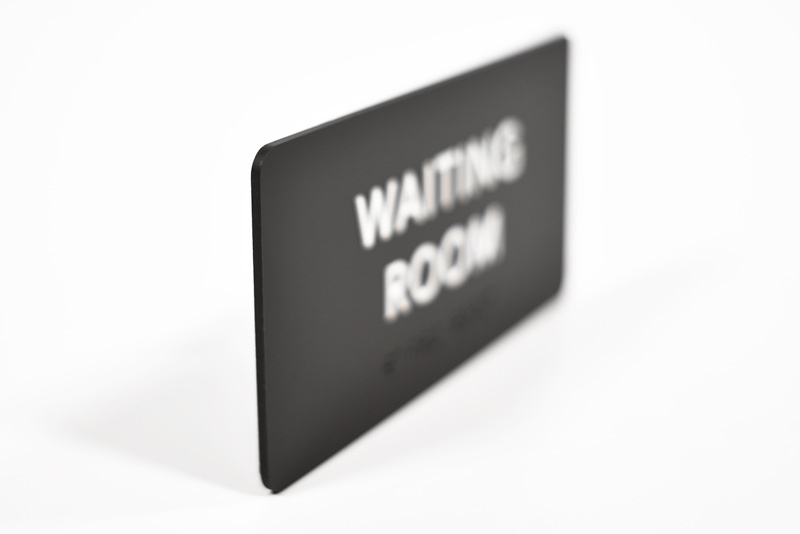 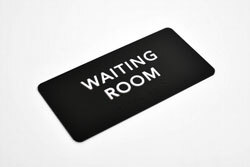 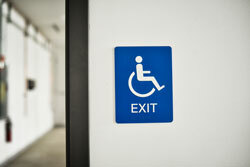 Label all of your waiting areas with these 8"W x 4"H ADA compliant Braille WAITING ROOM signs (1/8" thick). 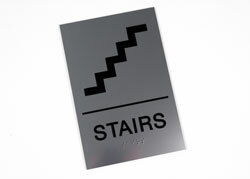 Signs include grade 2 braille and 1/32" tactile (raised) text. 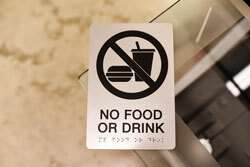 Post these outside the doorway to the lobbies in your hospital, clinic or dental office. Choose from a wide variety of two color combinations to most closely match the colors in your facility. 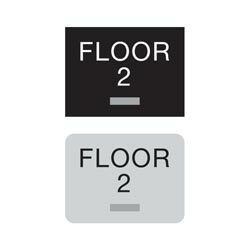 Brushed metal and wood like tones are available, along with multiple options of solid colors. 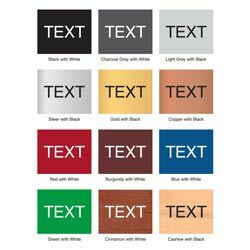 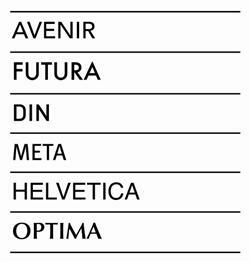 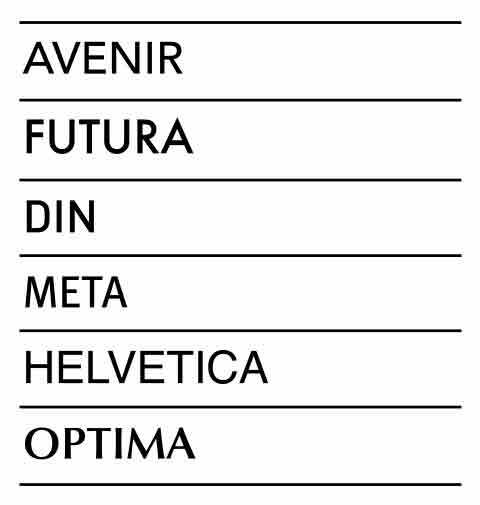 If you don't see a color listed that will suit your needs, note the color you are looking for in the "special instructions" below and we will contact you about it when receiving your order.